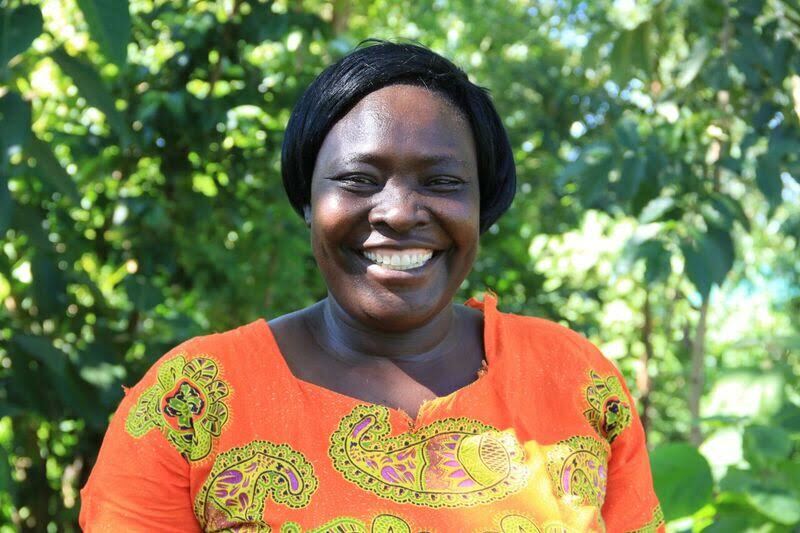 I am Mary Alwanyi, a 49 year old woman leader from Ikolomani in Kakamega County. I joined GROOTS Kenya in 2010 after being mapped by Alice Isoyi for the Gender Tracking Tool. Previously, I was employed as a store keeper at a local secondary school and I was also a community health worker supporting people living with HIV/AIDS in my locality. Through GROOTS Kenya, I have now become a recognized leader in my community and I have been appointed to sit on 3 secondary school boards. Since 2011, I have been working in the gold mines, buying processed gold from neighbors and selling it to other markets. When GROOTS Kenya began implementing the project ‘Madini Yetu, Wajibu Wetu’ in January 2015, I was selected to support in mobilization and coordination activities. I participated in the initial fact finding mission and the mapping process. GROOTS Kenya recognized my leadership potential, and invested in building my capacity through various trainings and workshops. Within six months, I was able to articulate key issues and priorities in the mining sector including the mining laws. Due to my involvement in the project, I was contacted by one of the national media houses in October 2016 to speak about gold mining in Kakamega. This gave me a lot of recognition and credibility especially with the local leaders. Since then, I have been appointed to four different committees in my sub county; a water management committee, a boundaries committee, and in three school management boards. Together with other women in the mining industry, we have formed a group where we save collectively. Additionally, I have teamed up with another woman and we plan on buying a processor to lessen the women’s burden of processing gold and to make additional income. Government officials consult me on mining related matters and I am often invited to county government meetings to speak on the same. I hope to mentor and empower more women in the sector. GROOTS Kenya has been able to organize table banking groups in my community, and more women are getting involved in decision making processes. In the next five years, I hope to see the grassroots women in the movement acquire assets and the movement moving to the rest of the country.